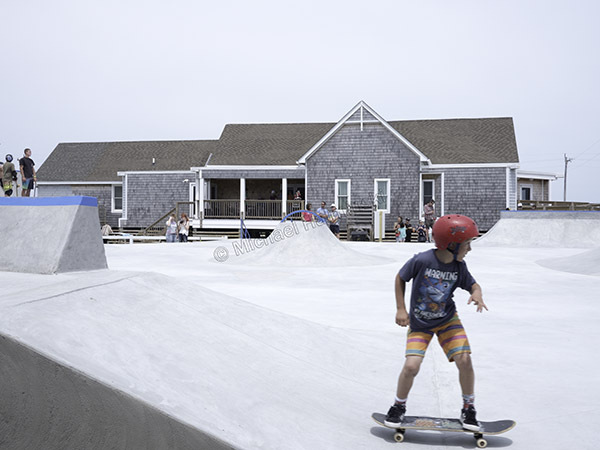 Much to the jubilation of local skateboarders, the Graveyard Run Skate Park officially opened on May 5th at the Rodanthe-Waves-Salvo Community Building. 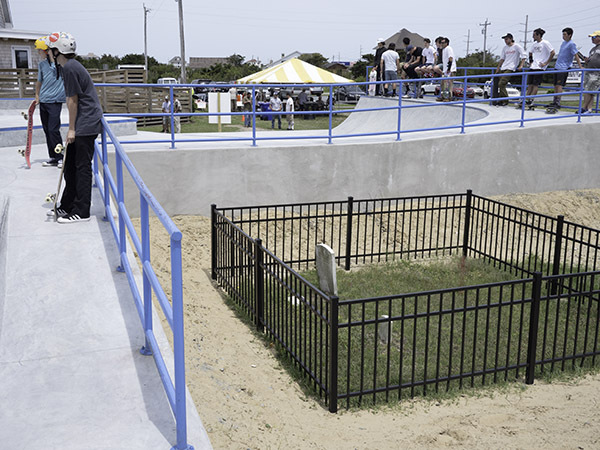 Two years in the making, the skate park was built with community funding and well received. The interesting name recalls our rich island heritage of shipwrecks and rescues. Next to the park is the headstone of William D. Pugh born 200 years ago in 1818. Across the street is the Chicamacomico Lifesaving Station, this year celebrating the centennial of the famous Mirlo Rescue. The name also refers to the offshore waters as the Graveyard of the Atlantic. 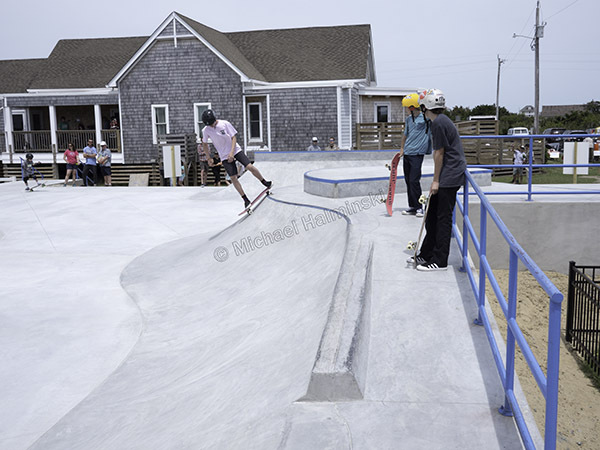 The inaugural was attended by enthusiastic skaters of varied ages and abilities. My participation was limited to showing support and snapping a few photos. 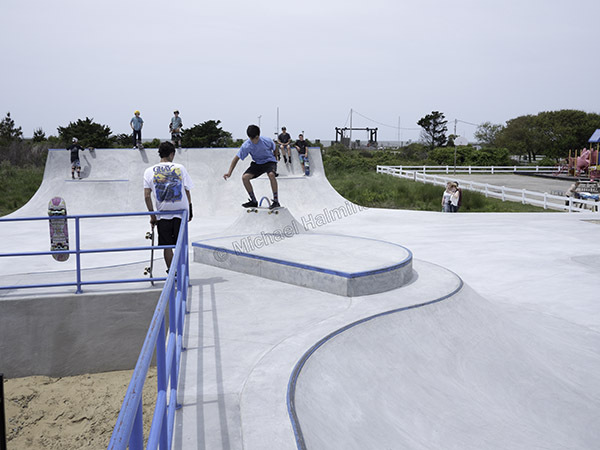 The skate park is open for the public to enjoy with other planned improvements like a sheltered picnic area added in the near future. 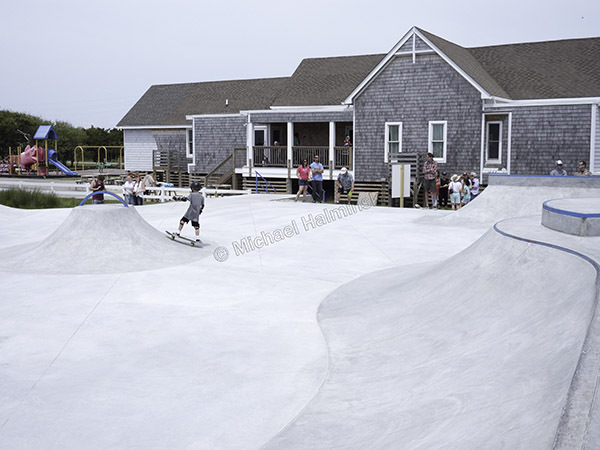 So when planning the next vacation to Hatteras Island, you might pack a skateboard or two. This entry was posted in history, Outer Banks, People on May 28, 2018 by j0jgvm89bj.